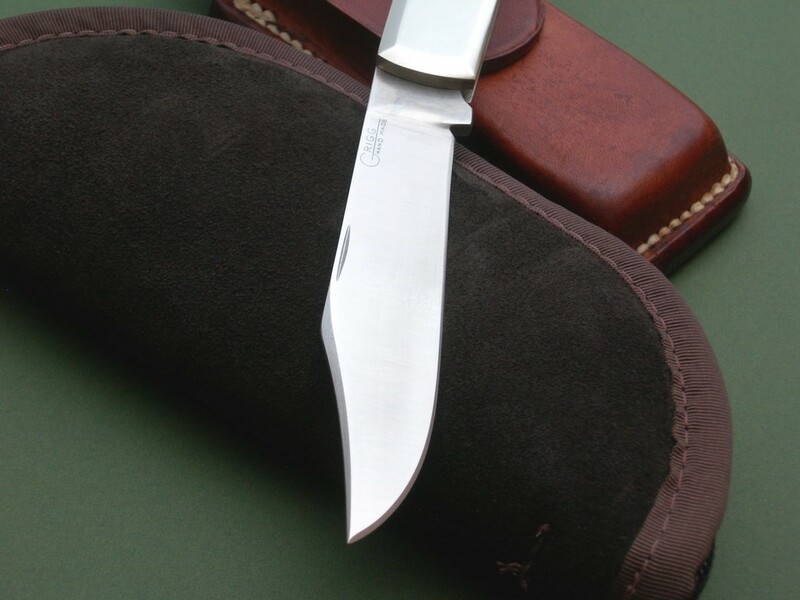 Summary: an early-1970's to mid-1980's Randall offering and touted in their catalog as the "Finest Possible Pocket Knife". 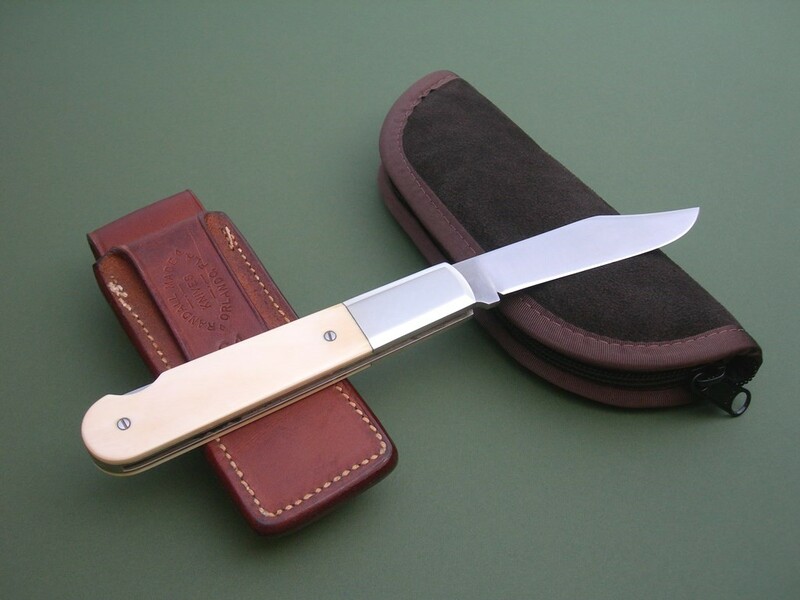 This is a Walter Grigg "Grandfather Barlow" with Elephant ivory scales in near perfect condition -- the knife has not been used and the Bowie-style blade looks brand new. The blade locks up tight -- a couple of small handling marks on the bolsters. 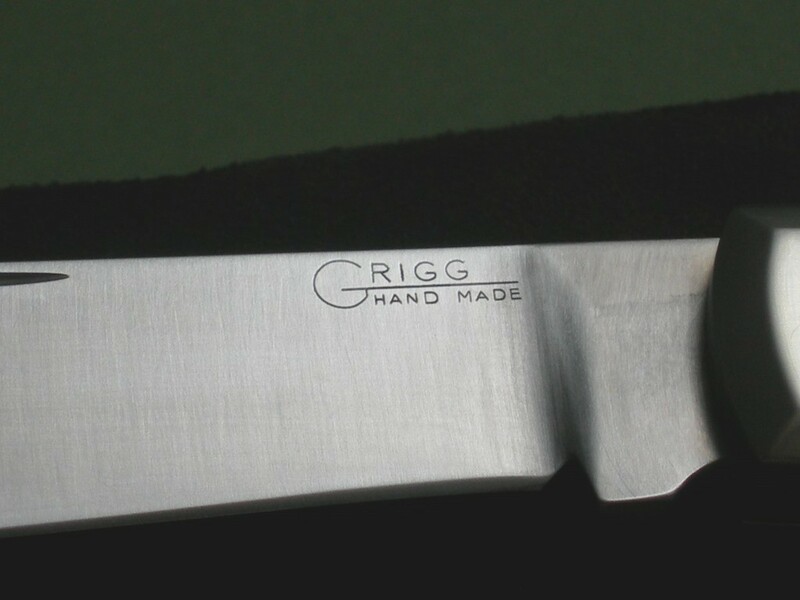 The knife is paired with the original Johnson "G4" stamped sheath in excellent+++ condition. 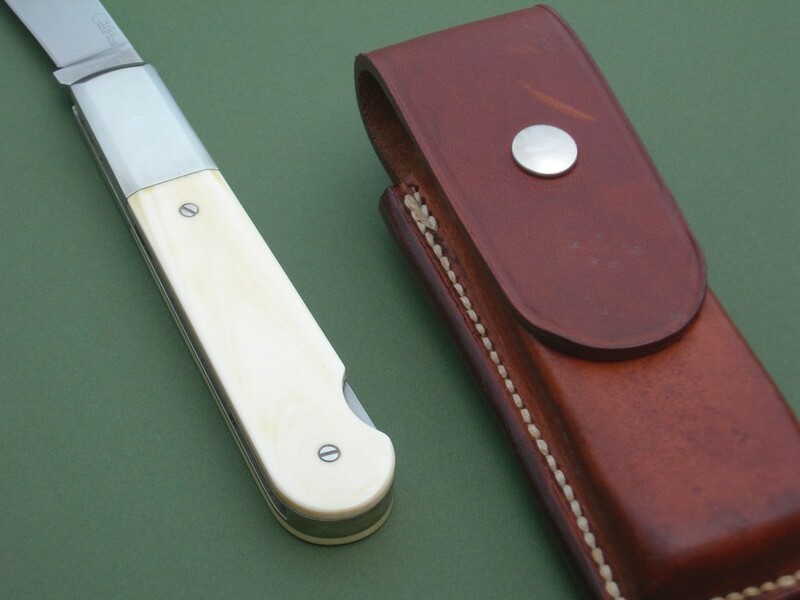 The sheath has not been carried -- a few light scuffs front and back, all minor. 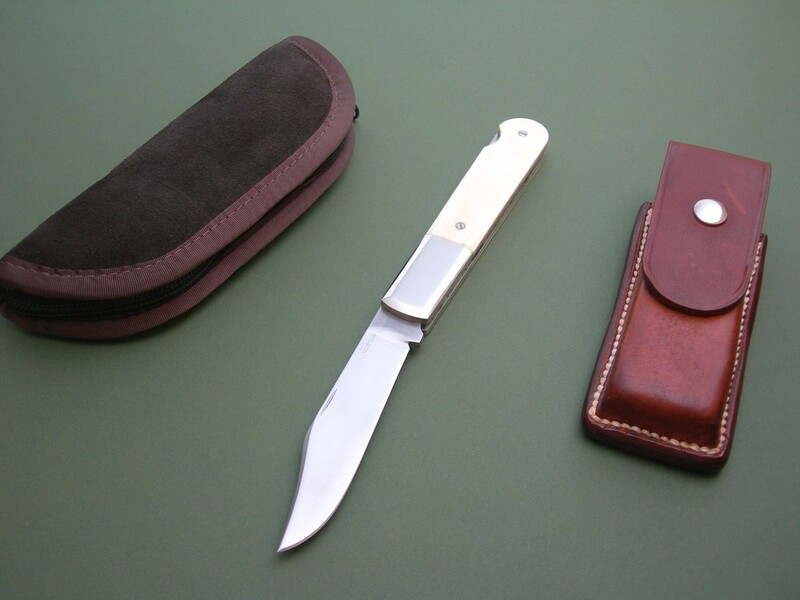 7 photos for review -- as shown, a small Randall Made Knives carry case included for storage. 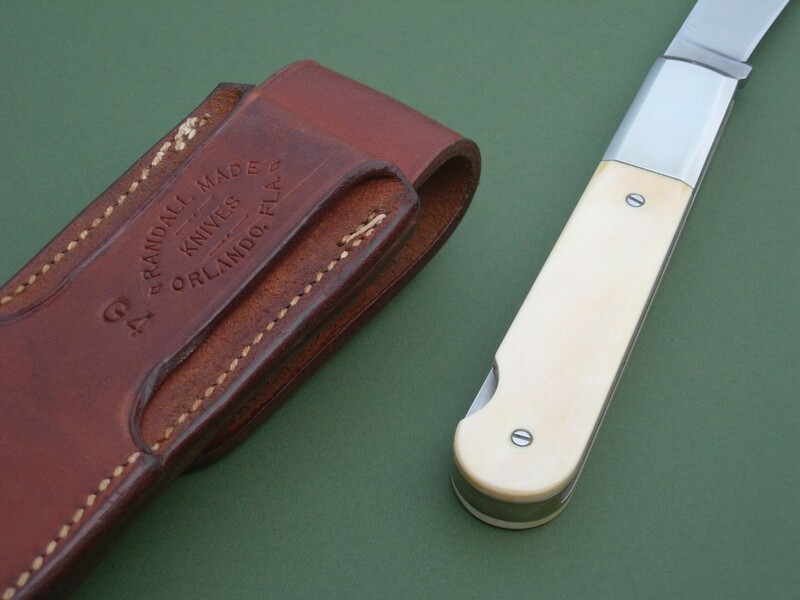 This is a beautiful knife and sheath in unused / never carried condition, a perfect addition to any Randall knife collection. Thanks and good luck. Additional reference: pages 104, 110 and 111 in "Randall Knives - A Reference Book" by Sheldon and the late Edna Wickersham.